What do you know about Elfi-Tech and their Finger Port device? Home News Research & Innovation News What do you know about Elfi-Tech and their Finger Port device? Elfi-Tech’s Dr Ilya Fine talks Finger Port, the innovative device that acts as your own personal health station, providing unparalleled ease of use at your fingertips. The Finger Port device is the only fully mobile product that allows the user to perform real-time measuring and tracking of multiple cardiovascular markers and displays them via an app directly on a tablet or a smartphone. Imagine that you have been feeling ill for several days. But you don’t really want to go to the doctor and lose a day’s work and wait in line till you are seen by the doctor. Instead, you take a small device, named Finger Port, put it on your finger and turn on the application on your mobile phone. The device is activated and starts to measure your blood pressure and pulse. Then the smartphone application gives the following instructions: please sit quietly, without removing the device from your finger for two minutes. Then you are asked to stand up for a minute. The next simple thing you may be asked to perform is to take five deep breaths. Before bedtime, following the next request of the application, you put this device on your finger when going to sleep. In the morning, when you wake up, you receive a message: “Please don’t move for five minutes while you are still in bed.” The instrument automatically takes another set of measurements. How is it possible to collect so much physiological information about our heart, our nervous system, our blood vessels and sleep quality with only a single non-invasive device? This new technology is based on a novel sensor named mDLS, which may let it all happen. Elfi-Tech has developed an innovative non-invasive sensor called m-DLS (Miniaturized Dynamic Light Scattering). 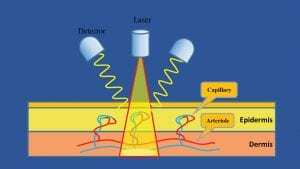 The m-DLS sensor consists of a laser, illuminating the object, and two photodiodes that convert fluctuations of the light scattered by red blood cells (RBCs) into fluctuations of the photocurrent (Fig. 1). The mDLS sensor resembles two other approaches: laser Doppler flowmetry and dynamic light scattering (DLS). These two methods are tightly interrelated and can be expressed in similar physical terms. The laser light is scattered from an ensemble of randomly moving red blood cells and produces a constantly moving interference pattern of laser speckles on the detector. The speckles pattern is formed as a result of statistically averaged contributions from a large number of scattering particles. The time scale of the intensity fluctuation is dependent on the relative velocity of the scattering particles, which in turn is dependent on the mobility of the particles. This use case can be described in terms of the DLS. Where a laminar blood flow prevails over the random movement, the laser Doppler flowmetry approach is applicable for an assessment of the characteristics of the blood flow. mDLS technology enables processing of the signal, which is contributed to by a combination of the randomly moving red blood cells and the microcirculation in different types of the skin blood vessels. Therefore, by applying only one sensor, a user can address a variety of parameters related to the skin microcirculation. One of the most important haemodynamic characteristics of the microcirculation is the vascular shear rate value. The lowest shear rate values correspond to the RBCs located mostly near the blood vessel walls or flowing through the narrow capillary blood vessels. On the other hand, the blood flow in the arterioles is characterised by high shear rate values. This fact enables it to distinguish the contribution of various types of blood flow and to track the behavior of blood flow in different types of vessels. A capability to measure haemodynamic parameters in different vessels can provide essential information about neurological, metabolic and cardiovascular functioning of the body. What kind of information does the m-DLS sensor provide? Oscillatory indexes of the skin blood flow. The blood mDLS signal is very sensitive to any changes in the blood flow shear rate and, its time behavioural pattern exhibits very prominent manifestations of haemodynamic changes related to cardiovascular dynamics. Fig. 2 demonstrates this important characteristic of the mDLS-based pulse shape. In addition, pulse wave analysis can be used for extracting more advanced features. Distribution of the prevalence rates of coronary heart disease (CHD) shows significantly higher percentages of CHD in subjects with no distinct incisura (feature in waveform), and the less pronounced the incisura the greater the amount of CHD. In addition, the pulse wave form is an indirect measure of vascular stiffness and pulsatile load, and can be used as a predictor of clinical events in congestive heart failure (CHF). The identification of irregular heartbeats and arrhythmia events can be used for a functional analysis of cardiovascular behaviour under rest and load conditions. For example, Fig. 3 shows the two signals (mDLS and ECG) recorded from a patient suffering from ventricular tachycardia (VT). It clearly can be seen that when a VT event occurs, the amplitude of the mDLS signal (and thus the perfusion parameter) dramatically drops. Thus, the mDLS signal can quantify the haemodynamic influence of the VT. It can also be seen that the mDLS signal has an overshoot after a VT event since the vascular system compensates for the lack of blood flow caused by the VT. 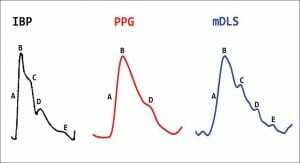 In addition to the pulse wave, the mDLS signal also provides the non-pulsatile component of blood flow that is a source of extremely important physiological information. So-called ‘haemodynamic indexes’ (HI) are derived from the measured signal and are interpreted as a measure of the shear rate of blood flow in the vessels. The behaviour of blood flow in different vessels is associated, among other things, with the neurological reactions of the autonomic nervous system. Generally, both rhythmic and stochastic changes in blood flow are governed by cardiovascular, neural and metabolic processes. These oscillations of blood flow can be used as an important source of additional physiological information. Power spectrum analyses of mDLS signals reveal a few distinct frequencies peaks within the range of 0.01–2 Hz: the spectral component around 1Hz corresponds to the cardiac activity. The other spectral components in the lowest frequency bands represent the influence of the respiration (0.3Hz), myogenic activity or vasomotion (0.1Hz) and neurogenic activity (0.04Hz). For example, an impairment of 0.1-Hz oscillation can be found in diabetic patients and can be used as an early index of sympathetic dysfunction. Reduction of arteriolar oscillations, detected by the mDLS sensor, might be an early sign of sympathetic dysfunction because it correlates with disturbances in those cardiac autonomic tests, which are at least in part under sympathetic control. Therefore, the oscillatory information may be a biological marker of anxiety, arousal, stress and pain. Vasoconstrictor responses to inspiratory gasp, standing, Valsalva manoeuvre, cold, sound and pain stimulus can permit the diagnosis of abnormalities of peripheral nerve sympathetic failure. Acute psychological stressors such as personal conflict or natural disasters can trigger adverse cardiovascular events in susceptible populations. These types of mental stress may be particularly detrimental to elderly individuals who have impaired vascular function, elevated ventricular stiffness, and heightened resting sympathetic tone compared with young people. ‘Basal’ forearm blood flow has been found to be a valid and reliable index of anxiety and can be used to measure the amount of anxiety in different diagnostic groups. Pain is a common reason for patients to seek treatment and be admitted to hospitals. Pain assessment is critical for optimal pain management interventions. While pain is a highly subjective experience, its management necessitates objective standards of care. When pain assessment is complicated by verbal and cognitive limitations it becomes even more important to make an accurate assessment. The mDLS sensor provides an accurate and instant indication of acute pain events. In testing endothelial functioning, usually it is not the basal flow that is of interest but rather the vascular reactivity that can give insight into the vascular function. Thus, the measurement techniques are usually coupled to some provocation tests, which can estimate vascular reactivity. The stimuli used are pharmacological and physical ones. One is the hyperaemic response to blood flow occlusion. This refers to an increase in skin blood flow above the baseline following the release of a temporal occlusion of a proximal artery and has been used as an index of endothelial function for research purposes as well as in clinical practice. The peak hyperaemic response of skin flow (measured by mDLS) will differentiate between healthy subjects and patients with vascular complications. In addition, endothelial activity is involved in blood flow oscillations at 0.01Hz (3). This technique can be used for endothelial activity assessment during sleep. Haemodynamic monitoring is the cornerstone of critical care, especially when the patient is haemodynamically unstable. Peripheral haemodynamics affects blood flow, which determines oxygen and nutrient delivery to the tissues and is controlled by vascular resistance and blood pressure, which in turn varies with cardiac function. A healthy microcirculation is therefore vital for the maintenance of efficient tissue perfusion and thus oxygenation. The haemodynamic effects of local anaesthetic administration with and without a vasoconstrictor can be assessed by using information based on measurement of haemodynamic indexes variations. Another important clinical event that can be measured by using the mDLS sensor is allergy response. Allergy is characterised by an overreaction of the human immune system to a foreign protein (‘allergen’) that is eaten, breathed into the lungs, injected or touched. One of the manifestations of this response is blood flow changes. An increase in local blood flow can be identified by the mDLS sensor many minutes before redness and swelling of the skin is evident. This methodology was not only found to be much faster than the existing method but also provides objective results. The Finger Port is the first device that can measure systolic and diastolic blood pressure accurately on the finger. The physiological mechanism of the new methodology is based on the fact that the systolic blood pressure is detected optically by the mDLS sensor when blood flow and pulse disappear downstream to the cuff location and the cuff pressure reaches the systolic point. Similarly, when the cuff pressure falls below the diastolic pressure, the diastolic point is identified by the sensor when blood starts moving freely to the downstream location. The simplicity and ease of use allows the effortless and painless measurement of blood pressure with this device at home, before bedtime or on the road. Based on m-DLS sensor capabilities Elfi-Tech developed the Finger Port device. 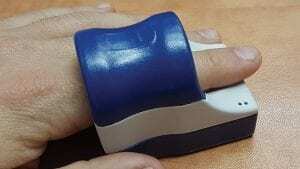 Finger Port is a portable device that enables quick, non-invasive, painless and simultaneous measurements of key cardiovascular (CV) markers such as blood pressure (BP), heart rate, respiration rate and heart rate variability, stress as well as sleep conditions just by placing a finger into the device (Fig. 4). Finger Port is the first device able to simultaneously measure and track multiple CV parameters. It is portable, easy-to-use, highly accurate and does not require any calibration. Due to its cloud connectivity, Finger Port’s unique technology allows end users and doctors to have easy access to health data without any need for in-person meetings (thus saving time and mobility costs for end users). This process generates graphical results of parameters’ changes over time, allowing the users to monitor their condition. 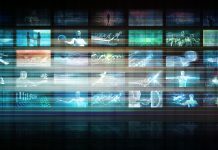 The data is available on PC, tablet or smartphone through an app enabling cloud management and logging capabilities using a Bluetooth Low Energy (BLE) protocol. Users and doctors will therefore be able to manage cardiovascular condition, keeping a log of previous tests, providing treatment suggestions and trends of past measurements. 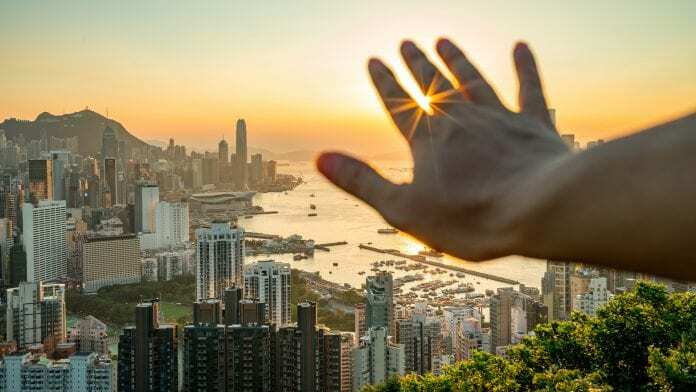 Increased emphasis on connectivity: At its basic function, connectivity allows the end user and doctor to interact with the Finger Port data seamlessly, without any need for in-person meetings (thus saving time and mobility costs for end users). Customers and end users will include the European population with cardiovascular diseases (CVDs). In addition, adults and elderly people who monitor their blood pressure at home and find the standard arm-cuffs difficult to use and cumbersome are a key sub-market. Cardiologists and general doctors that want to perform remote monitoring of their patients will also be end-users. Finger Port is the only fully mobile product that allows the user to perform real-time measuring and tracking of multiple cardiovascular markers and displays them via an app directly on a tablet or a smartphone. This ensures greater patient compliance as it will allow users and doctors to constantly monitor health conditions in a home-based setting. Finger Port is a platform that can be expanded much beyond the basic set of measured parameters. The collection of physiological and medical information from the population is a necessary basis for the entire ecosystem of digital health and ‘big data analysis’. 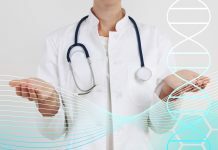 Accordingly, without active participation of a target population in the data collection, the very possibility for the development of home medicine, first-line diagnostics and even effective management of the wellness will be significantly limited. 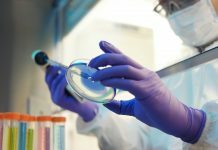 Thus, a serious obstacle to the implementation of home medical diagnostics is the compliance of potential users to apply all kinds of sensors and devices to collect medical information. 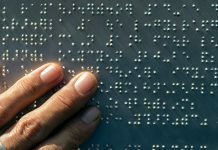 Therefore, the introduction of sensors and devices that allow collection of as much physiological information as possible while causing minimal inconvenience can be a catalyst for the progress of the entire industry. This was the goal that motivated the company to develop a new non-invasive sensor and technology called mDLS technology. For the first time, a new sensor device and the methodology for measuring a variety of physiological parameters are presented. The unprecedented convenience to the user in combination with the ability to ask various questions about our body using the same device opens up new unlimited possibilities in digital medicine and diagnostics. The Finger Port device opens an easy gate to the functioning of our body. Identification of arrhythmias: A 68-year-old woman is complaining of repeated episodes of dizziness and near loss of consciousness. These occurrences are rare and have never been witnessed by medical personnel. She is given a Finger Port and advised to apply it at the first signs of an episode. During the next occasion of feeling unsteady, she uses the Finger Port and a brief run of tachycardia associated with a fall in skin blood flow is identified. 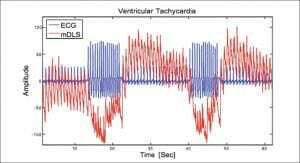 She is then referred for electrophysiological monitoring and recurrent ventricular tachycardia is identified, leading to implantation of a pacemaker/defibrillator. Ambulatory monitoring of hypertension: A 45-year-old man is diagnosed with essential hypertension. His doctor prescribes a converting-enzyme inhibitor as initial therapy. On a follow-up visit one week later, his blood pressure is still high. The doctor advises the patient to use the Finger Port and to check his blood pressure twice daily at home. 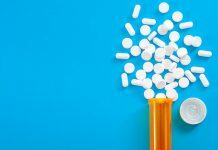 By tracking the patient’s response via the cloud-based app, the doctor is able to advise the patient to increase the dose of his antihypertensive medication without requiring an additional office visit. Fitness assessment: A 32-year-old overweight sedentary man decides to improve his general health status and joins a gym. Prior to beginning his training, he uses a Finger Port to assess his fitness status. By performing the simple instructions of measuring his haemodynamic parameters while sitting and then standing, he learns that he has a low fitness index. After beginning his exercise programme, he monitors his fitness level at weekly intervals, and is pleased to observe a gradual improvement in his fitness index, providing him with positive reinforcement for his exercises. 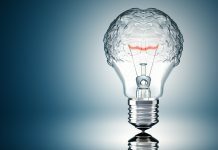 Artificial intelligence in healthcare – has there been a misdiagnosis of the benefits?